Whether you're just stopping by for a visit and some inspiration from the past or you're doing serious research, we're glad you're here. You'll find over 200 articles on a variety of topics - browse and enjoy! Have an idea for an article or want to contribute one? Send us a note on the contact form. This website was initiated by the Community Alliance of Libraries, Museums and Schools (CALM) in 2004 and is currently managed by the Grand County Historical Association for the benefit of the Heritage Coalition of Grand County. For more information, email Dede Fay at dedefay@hotmail.com. 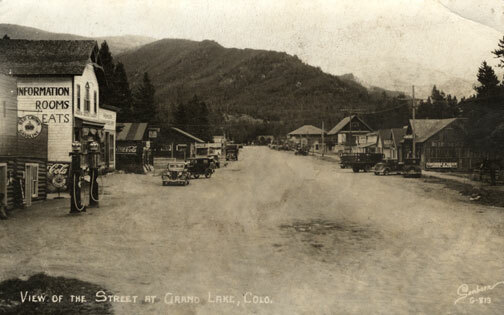 Grand County was established in 1874 by the Territory of Colorado, thus becoming a county two years before Colorado became a state. It was named for the Grand River, the name by which the Colorado River was known at that time. The headwaters of the today’s Colorado River are in Grand County. 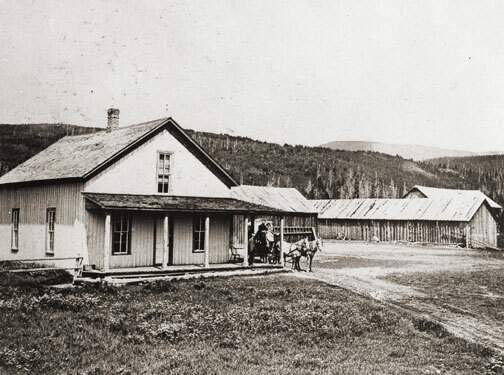 The county was formed from a portion of Summit County but acquired its current boundaries in 1877, when part of the Grand County was used to create Routt County. The county seat is Hot Sulphur Springs. The area of 1,854 square miles (larger than Rhode Island) consists of meadows, river valleys and mountains. "You have tuberculosis." Frightening words to be sure, especially in times when the life expectancy rate for such a disease was slim. Tuberculosis, or consumption as it was commonly called, is a disease that primarily affects the lungs. Something as simple as the common cold quickly develops until the patient is suffering from severe chest pain. Soon they are coughing up blood. For most diagnosed, the result was eventual death. As a last hope, many people fled westward, desperately seeking the arid climate that would dry up the fluid in their lungs. Little did they know that while the west would cure them, it would by no means make their lives easier. Elenor Smith, a woman in her early thirties living in Wisconsin, was one of the many so diagnosed. The doctor who examined her did not have much hope for her survival. He ominously predicted she would live no more that a few years longer and she would be unable to bear any more children. With this devastating prognosis ringing in her ears, Elenor, along with her husband George and their five children, packed up and headed west. 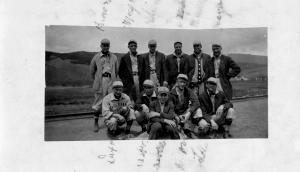 Their long journey brought them to Fraser, Colorado, where they ended up settling in 1910. The Smiths soon became an important part of the community. They built a log cabin in what is now "Olde Town Fraser' and, like everyone else, allowed their cattle to roam freely. George, affectionately called "Whispering George" by those who knew him well, owned the only livery stable in town. He could regularly be found escorting "Doc Susie" to her patients, be they man or beast. The climate seemed to have been the perfect cure for Elenor. She lived a hardy and wholesome life, and went on to have four more children. Being the hard worker she was, she would often cook for the men working in the nearby logging camps. When she wasn't cooking, she was washing laundry. She was known by many and loved by all. However, things were rough all over and all too soon the Smith family learned how harsh life could be. In 1921, their second eldest son, Oliver, at the age of twenty, was killed while working at Virgil Linnegar's sawmill. Then in 1944, things again took a turn for the worst. Her youngest daughter's (Georgene) two children contracted polio, a contagious disease that causes muscle paralysis and stunted limb growth, while their father was away in World War II. As the story goes, the eldest of the two children, Sherry, showed signs of polio first, so she was rushed to the hospital in Denver. Not thinking George, the youngest at the time, had also contracted it, his mother left him with his Grandma Elenor, so that she could be with her ailing daughter. However, one day Elenor found him hiding under the table crying. Knowing immediately the two-year-old wasn't just throwing a fit, she scooped him up in her arms and rushed to get help. Polio had been going around for a few years now, leaving a swath of deaths in its wake. People were doing everything they could to prevent bringing the disease upon themselves and their families, which was why the woman working in the telephone office locked the door when she saw them coming. Not knowing what else to do, Elenor searched frantically for someone, anyone, to help her. She even began knocking on house doors. Finally one brave man offered to help. He took her and little George to Denver in his car. Luckily, both children survived, though they would carry the repercussions of the disease for the rest of their lives. Having conquered tuberculosis, polio, and everyday hardships, Elenor Smith died in 1974 at the ripe age of 93. 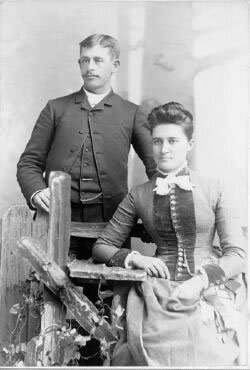 From Indians and explorers to doctors and developers, click on the drop-down menus to learn about some of the remarkable people who helped shape Grand County. Tradition holds that an army party led by one Lt. Col Johns gave the name of Troublesome to what had sometimes been called Oties Creek. The Army was plotting a road in 1865 and had to go north to the forks of the East and West Troublesome in order to cross it, because of the soft soil, thereby being a “troublesome” creek. Some historians claim that mountain man “Colorado Charley” Utter had built a cabin on the creek in 1861, which became a popular stopping place for early hunters and trappers in the region. Another report credits John S. Jones of Empire with a cabin near the mouth of the Blue River, a few miles away, that same year. Among the earliest settlers on the Troublesome were Barney Day, Henry King and Martin “Dock” McQueary, who had a cabin there in 1871. In 1878, a post office was established at the King home. 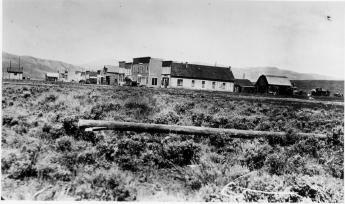 By the end of the century, many ranches had been established at on Troublesome Creek. Farthest upstream was the remote George Hendricks ranch, difficult to reach year round and totally cut off from the rest of the world during winter snow. Mrs. Hendricks had a large library and gave her children a sound education prior to their high school years in Kremmling. 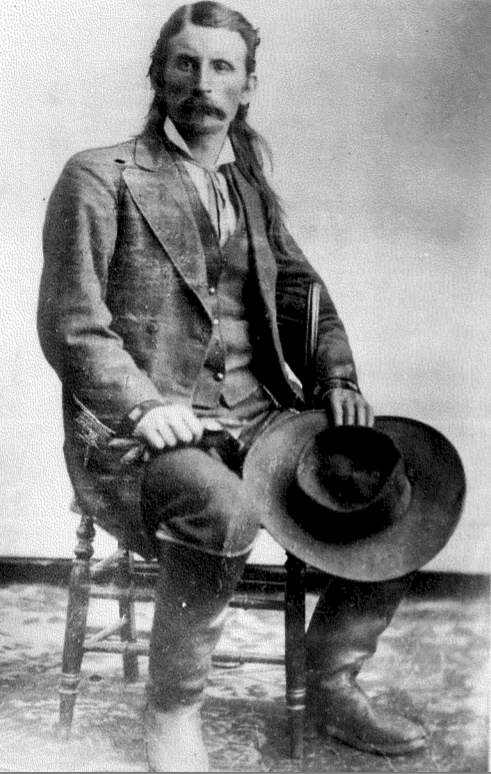 Among the most prominent ranches were those of George and Forrest Wheatly. Probably the largest ranch (3000 acres) was that of the family of Con Ritschard, lying just north of current day U.S. Highway 40 east of Troublesome Creek. Life was hard for the settlers in the area. Like much of Grand County, the soil was frozen as deep as eight feet in the winter. One memoir noted that when there was a death in the winter, the corpse was placed in the roof of a cabin, well swathed, until the spring thaw allowed for permanent burial. There was a six year school (second to seventh grade) and a post office established at Pearmont about half way up the Troublesome, in the 1920s. This area was named for local settler Gus Pearson. Ranching was not the only pursuit along the Troublesome Creek. Settler Roy Polhamos grew lettuce and shipped it through the Granby Cooperative to Denver. He also had a potato contract with one of the Denver grocers. Other growers contributed to the 125 refrigerated train carloads of lettuce that were shipped from Granby in 1924. By 1929, 34 farmed from Granby to Troublesome netted $46,000, a highly respectable profit in those days. The Hot Sulphur Springs Library started on the second floor of the two story white frame courthouse that preceded the current courthouse. In 1942 the library was moved to the old log courthouse that was directly behind the frame courthouse. The books were moved via a rope pulley-like system from the second floor to the log house. The library remained in the log courthouse until the mid 1970s when it moved into a 19 ft. 9 in. X 8 ft. 6 in. room in the current courthouse. This tiny room had a double-sided bookshelf in the middle, a bookshelf along one wall, a desk and a chair, and a card catalog on top of a small table. There was only a narrow pathway around the center shelving. There was no room to hold story hour for the 10-15 children who came, so story hour was held in the community room upstairs or the county or district courtrooms, the commissioners' room, or once on the stairs in the stairwell between the first and second floors. Much of the year the hallway by the Treasurer's and Assessor's offices was filled with hats, mittens, coats, boots and the noise and chaos of the children enjoying story hour. Since the jail was also located in the courthouse, the library was used by prisoners. Those who were "trustees" were allowed to visit the library in their neon orange jail suits. One prisoner was permitted to visit the library to paint a delightful mural of a dragon on one wall and a dog on the window in the door. One day a prisoner asked if he could order some Kurt Vonnegut books. The Librarian jumped up so excited that the tiny library had some Vonnegut books, she kneeled and pulled out a Vonnegut book titled Jailbird!!! In 1983 the new jail was built and the Library moved to the old jail area on the second floor. It was a much larger space and had a restroom. In the late spring of 1990 the Library moved to its present location in the newly-renovated former bunkhouse of the U.S. Forest Service summer personnel. This larger facility brought many windows and space for story hour, and until the year 2000 there was a wonderful yard in back for story hour and summer reading program activities. After his discharge from the Union Army in 1865, a veteran who lost his right arm at the Battle of Shiloh, Tennessee as a commander of a field artillery battery, John Wesley Powell was appointed curator of the Illinois Natural History Society’s Museum located at Illinois State University-Normal. Later, he was a Professor of Natural Science at Illinois Wesleyan University-Bloomington. In the summer of 1867, Professor Powell and his wife Emma, brought five students of the two university’s and six educators at other Illinois schools to Colorado Territory. Two peaks over 14,000 feet were climbed. Pike’s Peak (Emma was the 4thwoman to do so), and Mt. Lincoln. The expedition combined exploration and higher education of large scale student field trips was the first of its kind in American college history. In the autumn, the Powell’s visited the natural Middle Park hot springs (the heart of Hot Sulphur Springs) owned by William N. Byers editor of the Rocky Mountain News. The caretaker of the springs introduced himself as Jack Sumner, also a Union Army veteran, and Byers’ brother-in-law. Near the springs was the Grand River as the headwaters of the Colorado River were called. 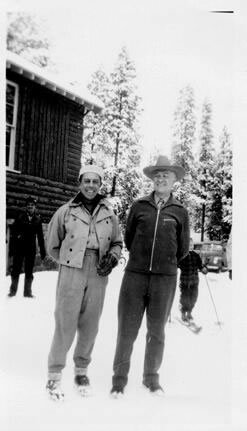 Around a campfire Powell and Sumner made plans for a Colorado River Exploring Expedition. Looming over this decision on the eastern horizon was Long’s Peak. In November, Wes and Emma Powell departed for Illinois filled with fortitude to return to Colorado. John Wesley Powell sought financing for an 1868 expedition from the museum and university’s boards of education, being happy to oblige. However, his request to draw supplies from U.S. Army western warehouses took an Act of Congress to approve. The Smithsonian Institute donated scientific materials. The expeditions purpose was to stock the natural history museum with large collections of specimens representing different sciences and illustrating the resources of the country. Before leaving Illinois for Colorado, it was understood that the ascent of Long’s Peak would be attempted. At Chicago on June 29th, a special Pullman car of the Chicago & Northwestern Railroad arrived with a banner lettered “Colorado Scientific Exploring Expedition”. At 3 p.m. Professor and Mrs. Powell, with 19 others were taken to Omaha, Nebraska traveling all night. 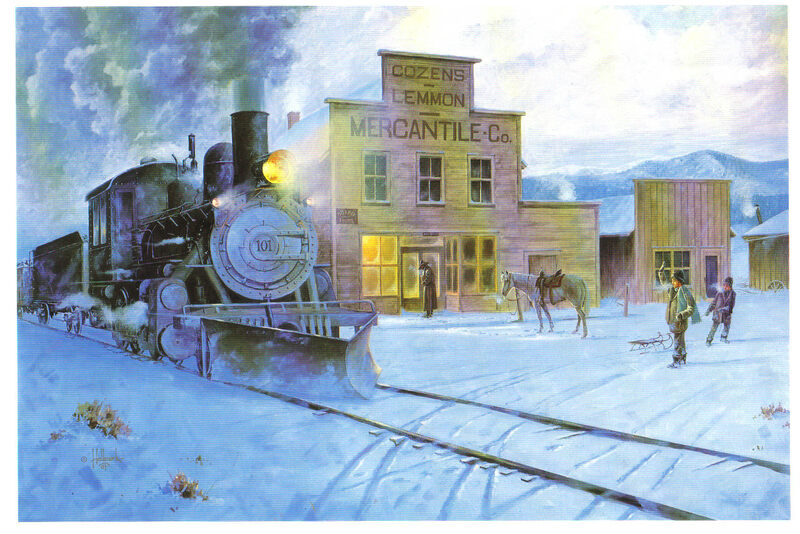 In the morning they rode a Union Pacific train to Cheyenne, Wyoming. They were organized into messes of four and drew supplies from the army warehouse. Each man had to break his own bronco for the pack train ride to Denver. One man was bucked into a cactus. A Reverend was thrown with his foot hung in a stirrup. While being dragged he said, “take hold of her boy’s. Whoa! Sweet little angel you.” They arrived and camped at Denver on July 14th. 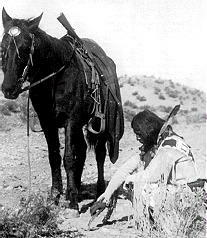 Then proceeded to Empire where they were greeted by mountain man and guide Jack Sumner, William Byers, and Ned Farrell. So much was untouched to be plucked in the names of anthropology to zoology. A week was spent on Berthoud Pass. One young scientist shot a jack rabbit thinking it an antelope. Jack Sumner was used to dudes. Finally, the expedition arrived at Mr. Byers’ resort where headquarters and the Reverend’s “Preaching Tent” was set up. Rest and relaxation were enjoyed by soaking in the hot springs. Professor Powell used his military rank Major. He never let the loss of his right arm hinder him. The Major took a trip to the Rabbit Ears and Gore Range where the highest peak is named Mt. Powell. When he returned the Major selected his student squad for the ascent of Long’s Peak. Chosen were L.W. Keplinger, and Sam Garman. One old mountaineer told the two that nothing could get them there that didn’t have wings. The idea of tenderfeet trying the ascent was ridiculous! August 20th-22nd -The Major, his brother Walter Powell, Jack Sumner, William Byers, Ned Farrell, and the squad, departed headquarters mounted on horses, and one pack mule with 10 days rations. Each carried a pistol or rifle. The squad had weather equipment. They camped at Grand Lake. In the morning the party of seven rode up a steep rock ridge almost impassable by fallen timber. They corralled the equines at Mt. McHenry elevation 13,327 feet and camped for the night. At 7 a.m. the Major made bacon and biscuits. The men stuffed their pockets with a two day’s allotment. Leaving their firearms behind Sumner and Keplinger led the way to Wild Basin over tortuous terrain. All arrived exhausted at 2 p.m. except for Keplinger who volunteered to find a route to Long’s Peak. Keplinger went through the notch and was within 200 feet of the crown. Turning to enjoy the view he almost became an eternal resident of Estes Park. Nightfall was setting in and he had to return to Wild Basin. To his amazement Sumner was hollering and had lit beacon fires. At 10 p.m. Keplinger and Sumner were in camp. At 6 a.m. on August 23rd, Keplinger led the way. Required of each was caution, coolness, and intense labor; life depending on the grasp of fingers in a crevice that would hardly admit them. Moving up in order were Keplinger, the Major, Sumner, Byers, and the others. Before 10 a.m. the entire party stood on Long’s Peak summit, elevation 14,255 feet. “Glory to God!” shouted the Major. For three hours they remained enjoying the spectacular views. North, south, east, and west. They counted 32 alpine lakes. An American flag was flown and left. A monument was built, and a baking soda can was used as a time capsule. Placed in the capsule were each member’s names, and the temperature. A biscuit was going into the capsule but the Major objected as he wanted fame as a mountain climber and not a biscuit maker. The capsule was sealed for the next climbers to find. Wine was sprinkled on the monument and disposed of in the usual manner. Two members abstained. The descent route went towards the branches of the St. Vrain River. Noticed on the snowbanks were two bears feasting on grasshoppers numbed by the cold. On the western branch of the St. Vrain the party was out of grub and they rested for the night. The men hiked to Mt. McHenry where a hearty breakfast was made. The two Powell’s, Sumner, Byers, and Farrell, returned to the springs on August 25th. Keplinger and Garman remained to record high altitude weather. Submitting the first mountain climate observations to the Smithsonian Institute. German Prisoner of War camps existed in Fraser and Kremmling during the wartime years of 1945-1946 The Fraser camp provided much needed labor for lumber production while the Kremmling camp shipped cut ice by rail, mostly to the Grand Junction area. In Fraser, some 200 prisoners loaded an average of 25,000 feet of lumber on rail cars every day. They were quick learners; doing all phases of the work, from horseshoeing to bookkeeping. For their hard work, they were paid 75 cents a day, which they could spend at their Post Exchange. The prisoners in the Fraser area were were sometimes rewarded with trips to the local movie theater. They were also allowed to form a dance band utilizing homemade instruments and were permitted to bake special German pastries. Examples of the beautiful inlay woodworking skills of the prisoners are on display at the Grand County Museum in Hot Sulphur Springs. Grand County has a stunning variety of terrain, landscapes and distinctive regions. The county encompasses 1869 square miles with almost 68% of the land is managed by the U.S. Forest Service, the Bureau of Land Management or the National Park Service. The Continental Divide marks the northern and western boundary of the county and the county is also the headwaters of the Colorado River. Regions have been established by proximity to water sources (The Troublesome, The Muddy, The Blue, and Three Lakes) or by their geographic features (Middle Park, Church Park, and the Fraser Valley).